This year would have been Beatrix Potter's 150th birthday, and her most popular character Peter Rabbit is 114 himself. He's looking good for it and that instantly recognisable blue jacket has worn very well. 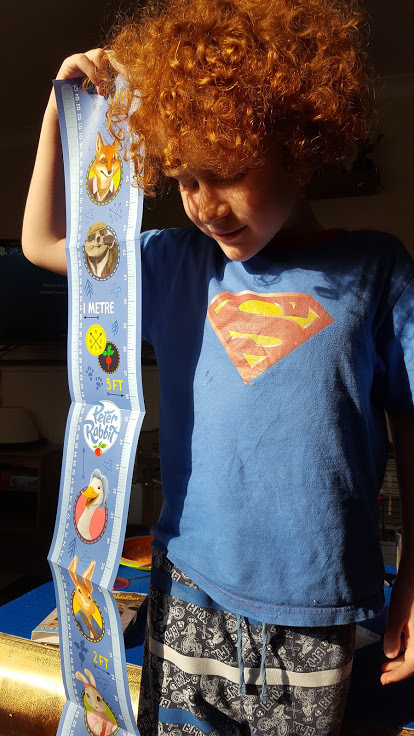 My children have mainly moved on from Beatrix Potter stories, but they have all enjoyed them, as did I when I was young, and he is still as popular today. We've been sent the latest DVD release from Abbey Home Media to review, and I also have a copy to give away to one of my readers. I have to say I was taken by surprise! I thought it would be a nice sleepy time DVD to watch snuggled with my boys, but they'd probably get bored quite quickly. I was wrong. It was indeed a great DVD to watch together, and we all sat and watched it through, including my 6 and 7 year old boys. The Tale Of The Great Breakout isn't 'twee', it has a bit of punch and very mild peril. This makes it attractive to a much wider, and possibly older, audience. The stories are familiar and interesting, they have a little humour and they carry messages about friendship and respect, as well as the best way to steal fruit and veg! As a bonus this DVD comes with a free height chart. This amused my 7 year old because he wanted to see how tall he is, and the answer is larger than this chart! We were impressed. The animation is lovely, with a warmth to the characters that makes them instantly likeable. The dangers the rabbits face seemed quite real, but not too scary for younger ones, and any peril isn't drawn out. The rabbits look out for themselves, and there is always a happy ending with Peter Rabbit around. 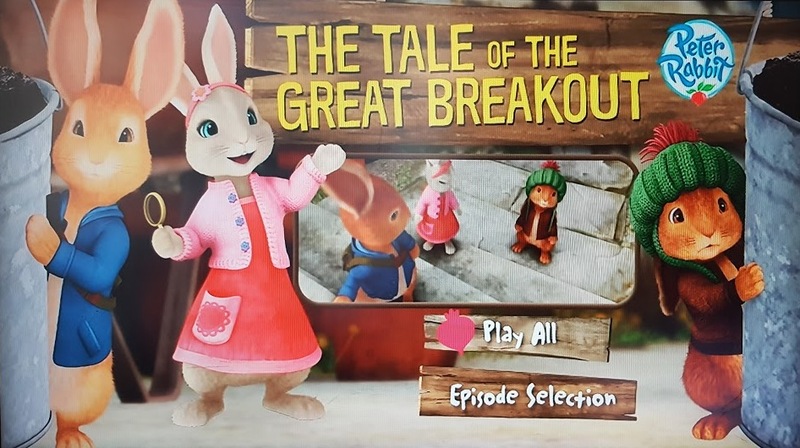 Peter Rabbit - The Tale Of The Great Breakout DVD is available now priced around £7.99 from all good DVD stockists instore and online. To celebrate Peter's birthday there are all kinds of events and releases, including special National Trust exhibits and events in the Lake District where Beatrix lived. 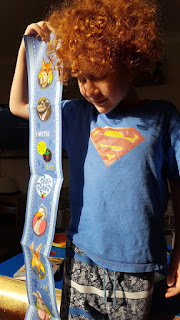 For more information hop on over to the Peter Rabbit website, where you will also find everything you could ever want to know about Peter Rabbit - and some free printables! 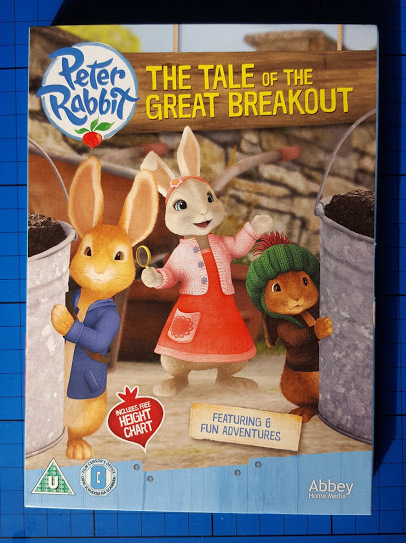 For your chance to win a copy of Peter Rabbit - The Tale Of The Great Breakout on DVD please enter using the Gleam form below. No entries are mandatory, but each extra task completed will earn you more entries into the random draw. The giveaway is UK only, and will end at midnight Sunday 5th June. Lola Bunny - Bugs' girlfriend!! Bugs Bunny springs to mind first but you've got me thinking now.